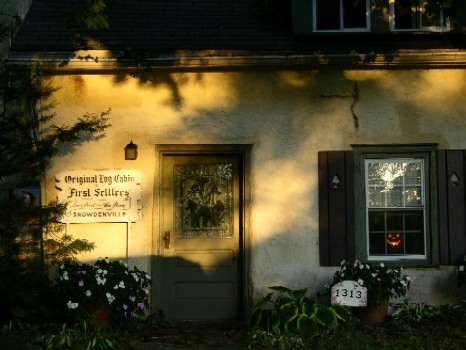 In a small village named Snowdenville, where two roads intersect under an old maple tree, there are several older homes situated on each of the corners. 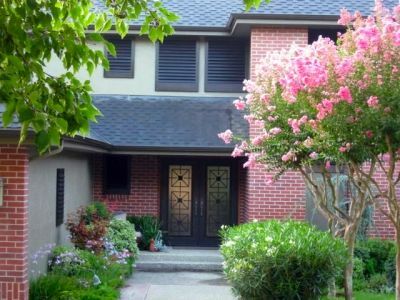 All of the homes are different with their own personality and charm. 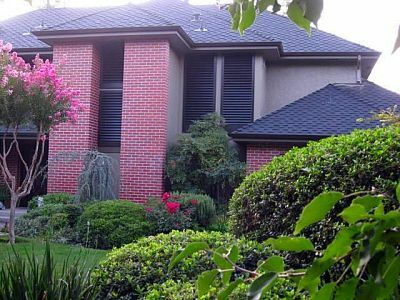 One common bond that they do share is that they all display the same style board and batten shutters, each with the same simplistic conifer tree cut-out. When December arrives, what could be more appropriate than a Christmas tree (or two) at every window? While we did not make the shutters for this adorable and very old log cabin, we did make all new shutters just like these for the home that sits caddy corner to this one. The modern day look alikes were made with an exterior-grade material called Extira®. 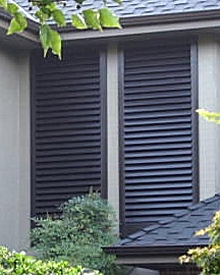 This material was a perfect and cost-effective way to recreate these decorative exterior shutters. I will snap a picture of the project for an upcoming post once the scaffolding is down and the project is complete. For a price quote in this design just contact our office. We have several cut outs to choose from and you can also send us your own design that you may have such as a cat or dog, a house number, and even your initials. The pattern can be cut through the shutter or carved into the shutter’s surface as a relief. Panel cut outs are a fun way to personalize your home.